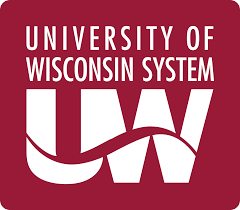 Our University of Wisconsin System Contract #15-2308 for desktops, laptops, storage, compute nodes and servers is approved for renewal through Sept. 30, 2019 with two one-year extension options. • Servers: the speed, security, and stability that all organizations need. • Compute Nodes: We are one of the most highly regarded HPC computer builders and integrators in the world, providing technology for a wide range of scientific applications, including projects funded by the NSF, NIH and DARPA. As a Microsoft MVP Top System Builder Award winner, Intel Platinum Level Technology Provider, Authorized Intel integrator and HPC Specialist, Platinum-level AMD Solution Provider and Microsoft Partner, we build PCs/desktops, workstations with quality components without adding trial ware, bloat ware, ad ware, or unnecessary platforms. This means each computer is ready to run as soon as it is unboxed. Our warranty includes comprehensive, no wait time U.S.-based support at no additional cost.